Experience the extraordinary Harvest Dinners at the exclusive Inn at Black Star Farms. 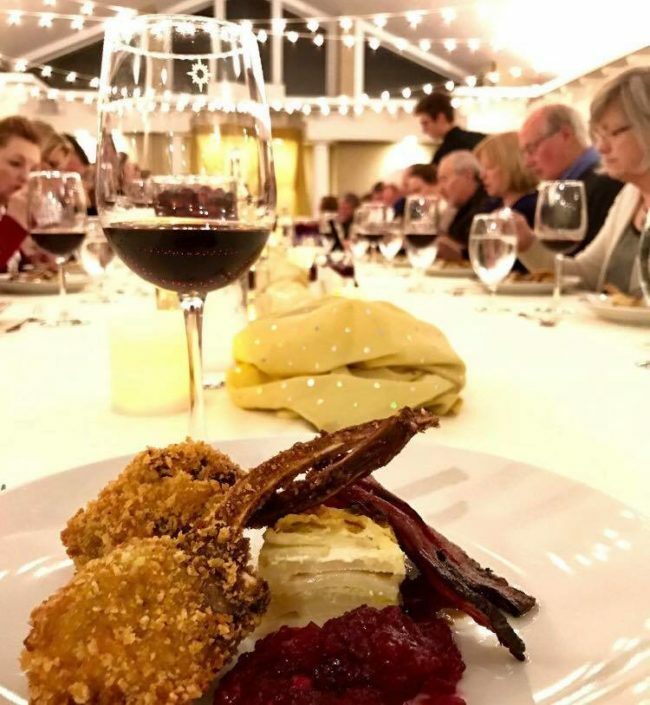 The creative farmstead cuisine for these monthly dinners is inspired by the best locally sourced ingredients, expertly paired with Black Star Farms wines. Seasonal vegetables, fruits and proteins are sourced from northern Michigan’s finest farms including our own farm in Suttons Bay. The events team at Black Star Farms invites you to an unforgettable culinary event! The evening begins at 6:30 PM with a welcoming reception in the Aquarius Room featuring a specialty-themed craft cocktail. Dinner is served in the Arcturos Room or the outdoor covered patio at a long, elegant communal table where conversations and striking up new friendships are encouraged. During the service our chef will explain the inspiration behind the evening’s menu and a winery representative will describe the chosen wine pairings and share updates on new releases and vintages. Upcoming schedule, ticket links and menus from previous dinners are posted below. Seats are limited, make your reservation soon. Attend the dinner while staying at A Breath of Heaven Bed and Breakfast. Make your reservation TODAY! Call 815-383-9999! The Vineyard to Bay 25k is right around the corner! This long-distance race is unique to Traverse City in many ways. The course alone makes this race very special! The rolling hills, vineyard views and the stretch along the beautiful Leelanau Trail are all notable. It is also the only wine-themed race in Michigan that offers bottles of wine to age group winners. In addition, hand-crafted ceramic tiles from Sporck TileArt are awarded to all 25k and relay finishers. The six vineyards that are part of the 25k course include Brengman Brothers, Shady Lane Cellars, L. Mawby, Ciconne's, Willow and Black Star Farms. Runners are offered three options of races, all of which are point to point to ensure new scenery the entire way: the full 25k, the 2-person 15k/10k relay, and the 5k run/walk. The 25k course is one of the few point to point 25k courses in the nation. Celebrate the bounty of area vintners and brewers with the Northport Wine and Craft Beer Festival. Our festival is our own special summer party showcasing area wineries and breweries. Join us from 1-6 in Haserot Park. Coming for the dog parade? No problem. We're Michigan's only dog-friendly wine festival. 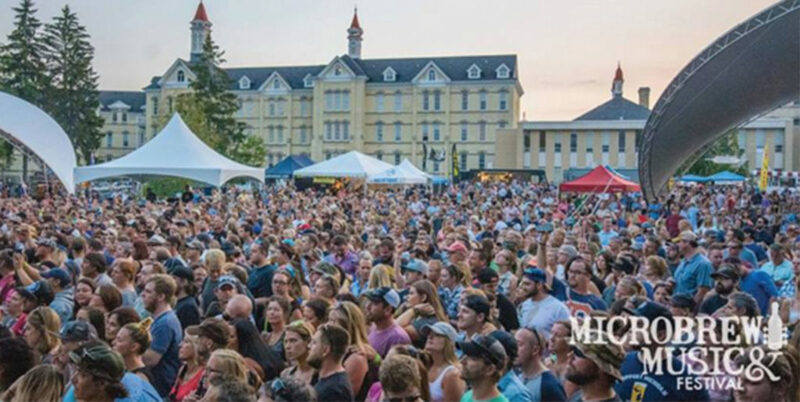 The Traverse City Summer Microbrew & Music Festival will return to the front lawn at the Village at Grand Traverse Commons for the tenth year on August 11 and 12, 2017. This summer’s festival will bring a bevy of hundreds of the best brews in Michigan as well as brews from beyond our high five border. Participating breweries include, Acoustic Draft Mead, Arbor Brewing Co., Arcadia Ales, Ascension Brewing Co., Atwater Brewery, Ballast Point, Beards Brewery, Bell’s Brewery, Big Lake Brewing, Blake’s Hard Cider Co., Bonobo Winery, Brewery Ferment, Brewery Terra Firma, Dark Horse Brewing Co., Deschutes Brewery, Drafting Table Brewing Co., Draught Horse Brewery, Earthen Ales, Flying Monkeys Craft Brewery, Founders Brewing Co., Great Lakes Brewing Co., Jolly Pumpkin Artisan Ales, Lagunitas Brewing Co., Latitude 42 Brewing Co., Left Foot Charley, Loggers Brewing Co., Mitten Brewing Co., Monkey Fist Brewing Co., Mountain Town Brewing, New Holland Brewing Co., Nickel Brook Brewing Co., Nomad Cidery, North Peak Brewing Co., Odd Side Ales, Perrin Brewing Co., Petoskey Brewing, Roak Brewing Co., Saugatuck Brewing Co., Short’s Brewing Co., Snowbelt Brewing Co., St. Ambrose Cellars, Starcut Ciders, Stormcloud Brewing Co., Superior Lakes Mead, Wine & Cider, Tandem Ciders, Unity Vibration Kombucha. Check out these new Traverse City restaurants and downtown shops! Harvest | 127 S. Union St.
Has a new (bigger) home. The casual eatery serves up legit Asian and Mexican street-style fare. Quality ingredients and execution. Alley’s Market | 113 E. State St.
Harvest’s old location is the new neighborhood market. The one-stop shop has staples like milk, eggs and produce, plus beer, wine and a delish Detroit-style pizza. Olives & Wine | 201 E. Front St.
Mediterranean mezze plates and an expertly curated, 56-bottle Enomatic wine dispensing system. What’s that? Pick a wine, insert credit card, vino served. 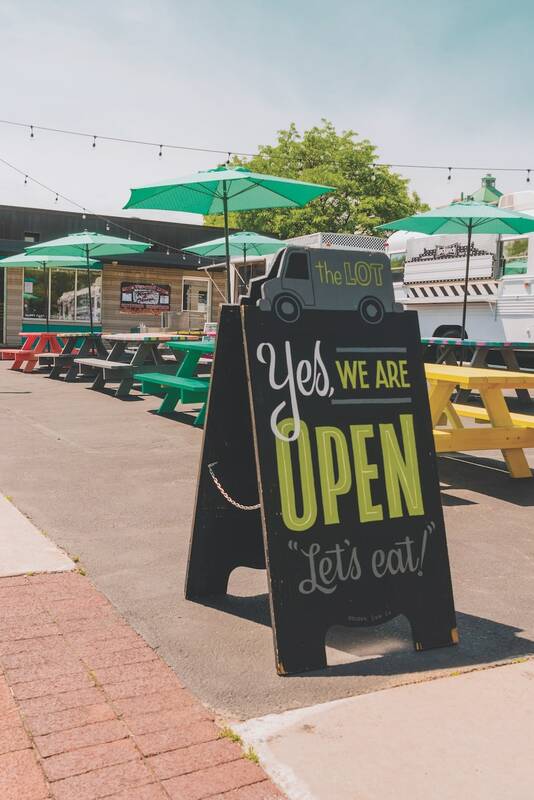 The Coin Slot | 346 E. Front St.
Pinball wizards, this recently expanded vintage arcade has craft brews, outdoor seating and food truck eats from Rockwich, MIddleboys Savory Waffle Cones and Wingz & Thingz (also known as “The Lot” and “The Spot”). Millie & Pepper | 120 S. Union St.
A modern day general store with home décor, kitchen goods, sustainable fashion and local art. 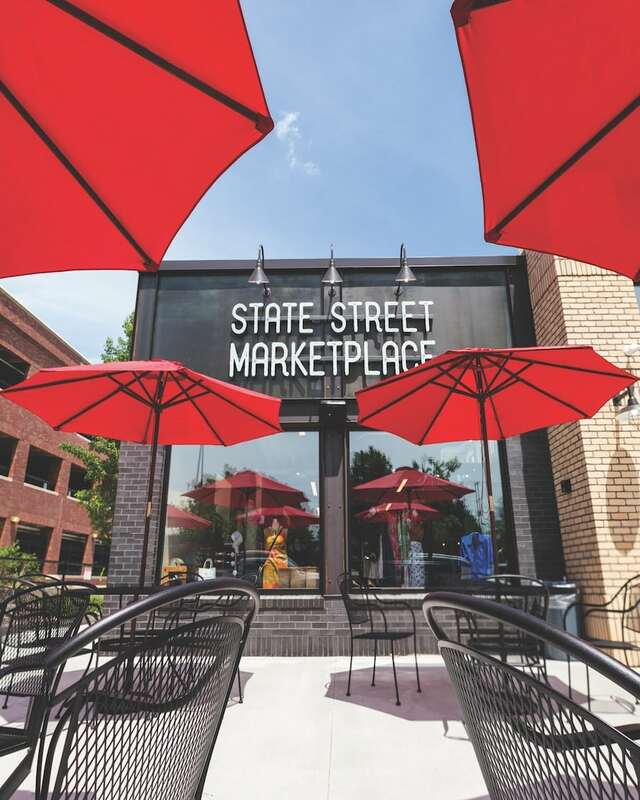 State Street Marketplace + Monkey Fist Brewing Co. | 329 E. State St.
TC’s newest brewery and an eclectic community marketplace with gourmet meats, Mediterranean dishes, BBQ, vintage clothing, made-in-Michigan gifts—the list goes on. Red Spire Brunch House | 800 Cottageview Dr.
Brunch all day. Benedicts, French Toast, gourmet mac and cheese. Find between Stella’s and PepeNero at Grand Traverse Commons. Ballaró Wine Lounge & PepeNero | 700 Cottageview Dr.
PepeNero’s younger brother is serving Italian tapas, Old World wines, fine scotches and whiskeys. Get small plates before dinner at PepeNero. Beer lovers, head toward the Grand Traverse Commons water tower. Pints poured below. Bring lunch/dinner from nearby Spanglish or Pleasanton Bakery. The Traverse City Film Festival has an impressive lineup of cinematic creations for viewers of all ages. You won’t want to miss Northern Michigan’s movie event of the year. Here’s a look at day 1 of Traverse City’s highly touted film festival along with a few tips as to where you ought to eat and the films you’ve just got to see. It’s opening night of the Film Festival, which means it’s time to roll out the red carpet and get ready for a night of dancing and good food under the Traverse City night sky. Grab your favorite guy or gal and head over to Front Street for a night of celebration and great movies. Start your date night at the glowing State Theatre for a 6 p.m. showing of I, Daniel Blake also playing at the City Opera House at 7:30 p.m. (there’s another show at the State at 10 p.m). After the movie, stick around for the Opening Night Party. at 8:30 p.m. Front Street will shut down and the stars will come out. With your all-access passes, you and your date will share some of the best food, beer and wine Traverse City has to offer during this red carpet evening. Tickets are $50. Long Strange Trip,Dutmers at the Dennos Museum, 9 a.m., music documentary on the history and legacy of the Grateful Dead. Gilbert, Nauti-cat, 9 p.m. the unknown life of Gilbert Gottfried, stand-up comic and voice of Iago in “Aladdin,” and the Aflack Duck. PoppyCock’s — 128 E. Front St.
Amical — 229 E. Front St.
Mama Lu’s — 149 E. Front St.
Join the Leelanau Community Cultural Center on July 21, 2017 for the 25th Annual Art Leelanau Benefit Exhibit and Sale in support of the Old Art Building! The opening Friday night gala is from 5:30-9:30 PM with fine art, delicious food, live music, and fun games. The exhibit promotes the artwork of more than 70 Leelanau artists, with 40% of art sales going to benefit the operating fund. The artwork for this year’s poster will feature “The Harbor" by Rick Koehler, who won the best of show at the “Leland Air” event on Memorial Weekend. There will be 50 limited edition prints of Rick's artwork for the commemorative Art Leelanau 2017. 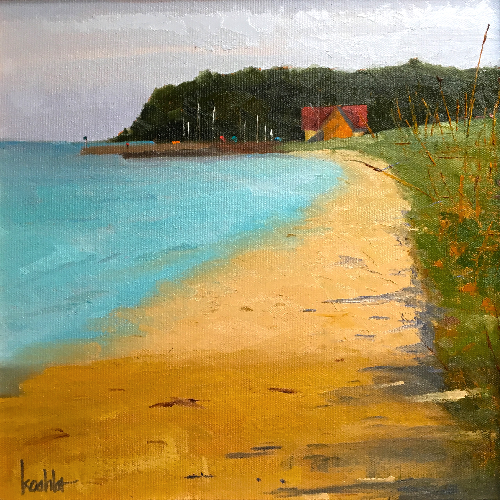 The benefit is held annually to raise operating funds for programs offered throughout the year at the Old Art Building and also to help support and draw attention to the many artists who live either full or part time in Leelanau County. Artists help to underwrite the event by donating 40% of all art sales. Visual art, jewelry, ceramics and sculpture will be featured in the exhibit. The exhibit will continue Saturday, July 22 through Wednesday, July 26 from 10:00 AM to 5:00 PM. Sunday hours are 12:00 PM to 5:00 PM. On Friday, celebrate 50 years of Led Zeppelin with Zoso - The Ultimate Led Zeppelin Experience. Zoso embodies Page, Plant, Bonham, and Jones in their spirit, tightly-wound talent and authenticity. Along with Zoso will be other special guests. We are excited to welcome Moon Taxi, headlining Saturday. A festival favorite, the band has performed at Bonnaroo, Coachella, Governor's Ball, Hangout Festival, Lollapalooza, Austin City Limits, Outside Lands and more. We're really excited to also welcome Joe Hertler & The Rainbow Seekers, The Accidentals Duo Throwback, May Erlewine & The Motivations, That 1 Guy (he'll play his infamous Silent Disco set as well! ), Heatbox, DJ Abilities, a comedy stage featuring Brad Wenzell and other comedians with a special Silent Disco "Roast" (watch out! 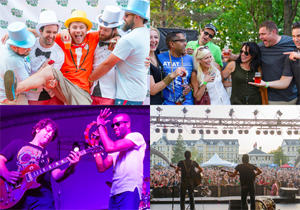 ), Lucas Paul Band, brotha James, G-Snacks, Andrew Sturtz Music, Biomassive, Deep Blue Water Samba School, marching bands, DJ DomiNate, DJs, 1,500 wireless headsets with three Silent Disco stages, a local's stage, and much more to be announced! This annual weekend features a spectacular race through Leelanau’s vineyards followed by a self-guided wine tour along the Leelanau Peninsula Wine Trail. The Harvest Stompede Wine Tour starts on Saturday immediately following the race. The tour takes place from 11:00 am to 6:00 pm on Saturday and 12:00 to 5:00 pm on Sunday. 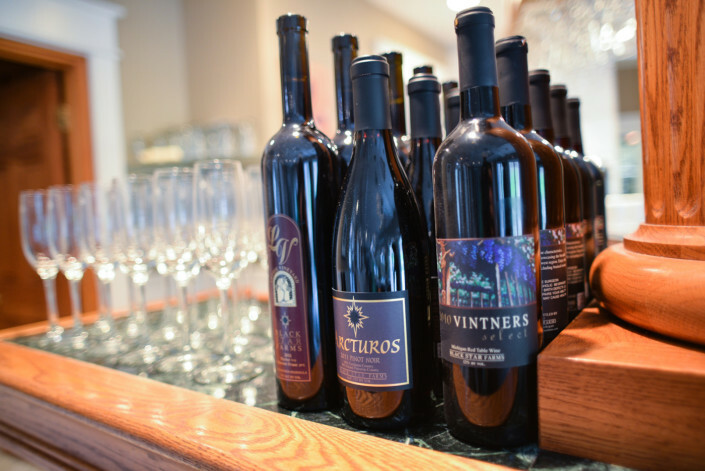 Tickets are $40 and include a souvenir wine glass and a special wine pour and food pairing at each of 24 participating wineries along the Leelanau Peninsula Wine Trail. Book your reservation at A Breath of Heaven Bed & Breakfast today while suites are still available! Enjoy a glass of wine paired with a gourmet tapas dish in the tasting rooms during this progressive dinner. 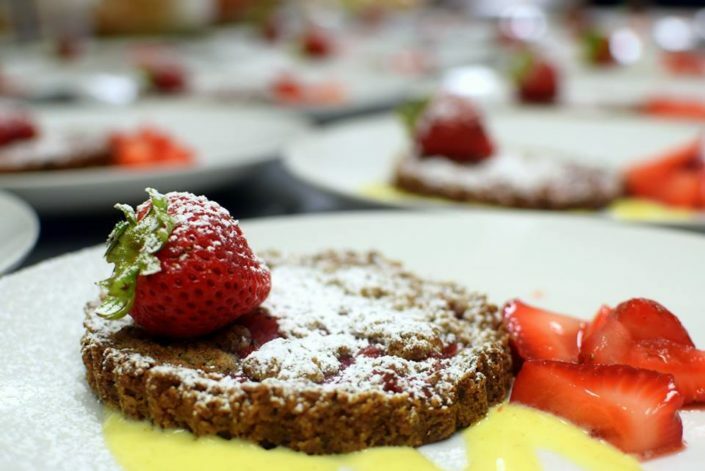 Many wineries partner with local chefs to prepare and serve each delicious pairing. Culinary aficionados will enjoy this upscale, gourmet food event! Tickets are $15 per seating, and you may get tickets for one, two or three seatings, each at the winery of your choice. Seating times are roughly 6, 7 and 8pm. Tickets must be ordered in advance for this event and always sell out quickly, so be sure to get yours today. Join the Grocer's Daughter Chocolate for a fun introduction to the world of chocolate and a guided tasting of our chocolates! In this class you will explore where and how our chocolate is grown,learn about the wild world of processing cacao into chocolate, enjoy a tasting of cacao nibs/beans, 100% chocolate, 90% dark chocolate, 70% dark chocolate, milk chocolate, white chocolate and several of our signature items, and receive a gift certificate good for 10% off your next purchase! Cost is $10/person. Tastings last approximately 1 hr. Space is limited to 8 people. Tastings are regularly scheduled for Friday afternoons throughout the high season. If you can't make it or prefer another date we simply need a week advance notice and a minimum of 4 people. Please call to book another date and time at (231) 326-3030.